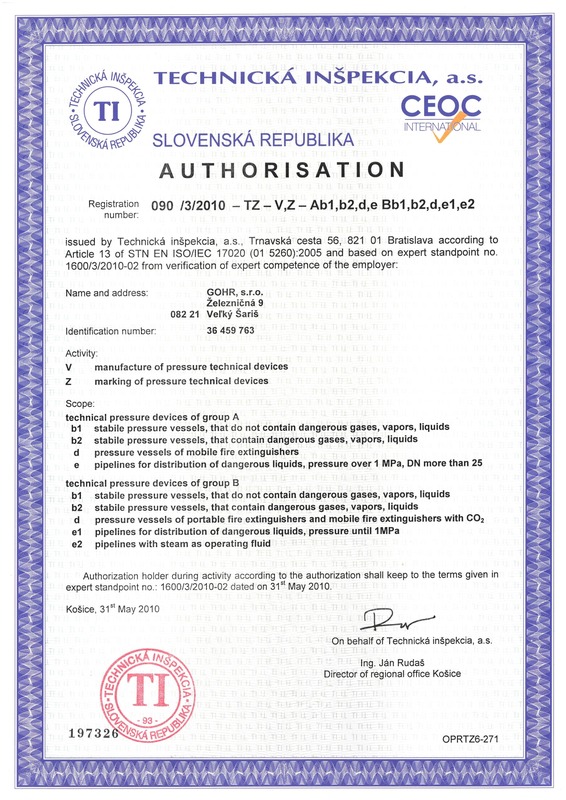 The company GOHR ltd. has been certified on the day of 02.05.2018 according to STN OHSAS 18001:2009 standard and therefore fulfills specified requirements on Occupational Health and Safety Management System (OHSAS). The main function of this system is to set the key risk factors and the way of its influence according to the risk and protection of health in the whole complex activity of the company. Implementing of the OHSAS brings into organization several advantages and it is the proof, that the organization cares for their employees, what is a good signal for the partners and also for the current and potential employees. For the organization it means the increase of productivity and efficiency of work, improvement of the company´s culture, increasing the loyalty and welfare of employees, improvement of working conditions and minimalization of injuries during work time and the illnesses caused due to it. The company GOHR ltd. by this also demonstrates, that their products and services are realized according to defined conditions by OHSAS. OHSAS 18001 standard was created by international standardizing organizations, registered certificate authority, and other interested parties. 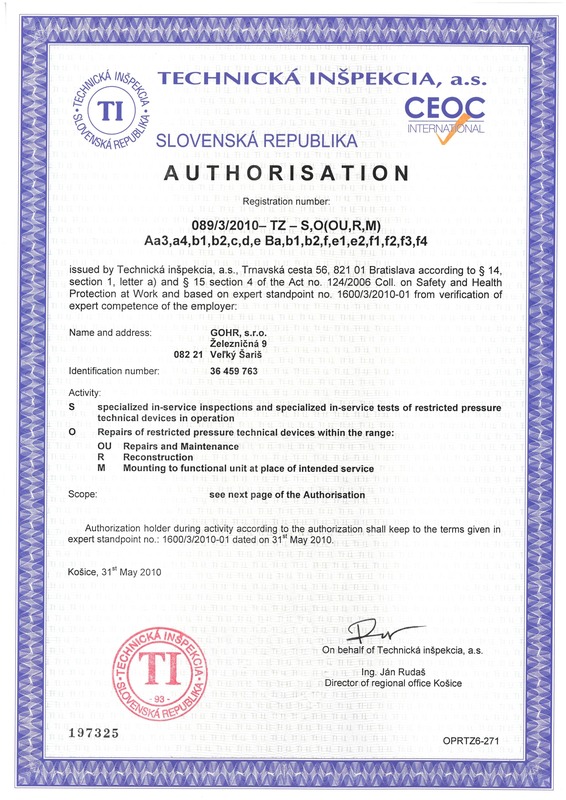 The translation into the Slovak language of the OHSAS 18001 (identification STN OHSAS 18001) has the same content and requirements and this means, that the STN OHSAS 18001 has international validity. © Gohr s.r.o - your engineering company 2019. Businessx theme designed by Acosmin.